Get out of town with these interesting Brisbane side-trips: Warner Bros. Movie World (in Oxenford), Main Beach (Sea World Theme Park & Anthea Polson Art) and Surfers Paradise (SkyPoint Observation Deck, Infinity Attraction, & more). Pack the 23rd (Sat) with family-friendly diversions at Dreamworld. The adventure continues: let little ones run wild at South Bank Parklands, take some stellar pictures from Mount Coot-tha Lookout, get to know the resident critters at Australia Zoo, and meet the residents at Currumbin Wildlife Sanctuary. 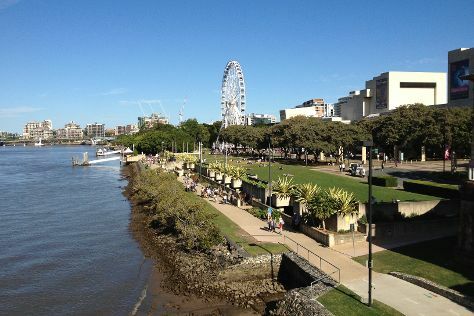 Before you visit Brisbane, use our trip planner to discover what you can do and see there. Cardiff, UK to Brisbane is an approximately 29-hour combination of train and flight. You can also do a combination of train and flight; or fly. The time zone difference when traveling from Cardiff to Brisbane is 10 hours. Traveling from Cardiff in February, things will get much hotter in Brisbane: highs are around 33°C and lows about 24°C. Cap off your sightseeing on the 3rd (Sun) early enough to travel to Sydney. Get out of town with these interesting Sydney side-trips: The National Pass (in Blue Mountains National Park), Norman Lindsay Gallery & Museum (in Faulconbridge) and Katoomba (Wentworth Falls, The Three Sisters, & more). Spend the 11th (Mon) exploring nature at Sydney Harbour National Park. 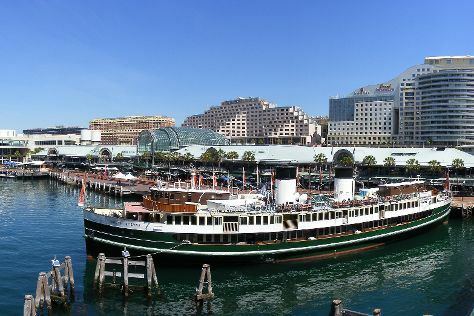 There's lots more to do: wander the streets of Darling Harbour, enjoy the sand and surf at Manly Beach, appreciate the extensive heritage of The Rocks, and see the interesting displays at Australian National Maritime Museum. For ratings, maps, traveler tips, and tourist information, you can read our Sydney road trip tool . You can fly from Brisbane to Sydney in 4 hours. Other options are to do a combination of bus and flight; or drive. March in Sydney sees daily highs of 30°C and lows of 22°C at night. Finish your sightseeing early on the 18th (Mon) so you can travel back home.